Music fans were shocked and saddened to hear the news about Jim Capaldi who passed away from cancer on January 28, 2005 at age 60. As well as being one of the world's great rock drummers, Jim was a gifted songwriter and vocalist who worked with many of the biggest names in the music business. Jim's song lyrics on solo projects would often be directed towards environmental and social causes. Jim Capaldi began his career in music during the early 1960s as a member of the Worcester band The Hellions. They evolved into the legendary West Midlands group Deep Feeling before Jim left to become a founding member of Traffic. This talented line-up also included Dave Mason, Chris Wood, and Steve Winwood from the Spencer Davis Group. 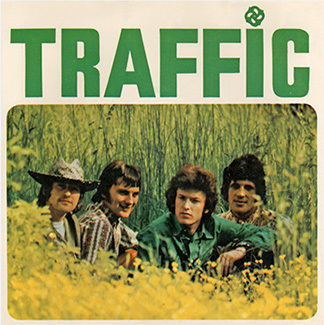 Traffic was the first band to be signed to Chris Blackwell's influential Island Records label in 1967. Jim Capaldi formed a successful writing partnership with Steve Winwood with whom he composed many of Traffic's classic songs. The band went on to international success and Jim later embarked on a solo career which included his hit single 'Love Hurts' that reached Number 4 in the UK charts in 1975. His 1983 hit record titled 'That's Love' was recorded with Steve Winwood. Jim collaborated with many other well known musicians during his long career - contributing drums, vocals, and his songwriting talents to countless recordings. He was a participant in the acclaimed "Concert for George" George Harrison tribute in 2002. Traffic were inducted into the famous "Rock And Roll Hall Of Fame" in 2004. A Traffic re-union and tour was planned for that year but cancelled when Jim became ill.
My sincere condolence goes out to Jim's family and friends. We have lost a great talent but his music will live on. Visit Jim Capaldi's official website at: www.jimcapaldi.com where you can read much more about his amazing musical legacy and send a personal tribute for Jim to Aninha Capaldi who maintains the site. This feature was originally published on BrumBeat in 2001. Jim Capaldi is well known to most rock music fans as the drummer of the legendary West Midlands group Traffic, a band famous for their innovative fusion of music styles and whose recorded legacy continues to attract world-wide interest. Jim grew up in Evesham and started his music career by playing in several local bands during the early 1960s which included The Hellions and Deep Feeling. In 1967, he helped to form Traffic in Birmingham along with Steve Winwood from the equally legendary Spencer Davis Group and the rest - as they say - is history! What is not so well known is that Jim has also enjoyed a long solo career which has involved collaborations with many other famous musicians and groups including former band-mates Dave Mason and Steve Winwood (with whom he composed many classic Traffic recordings), Luther Grosvenor, Paul Kossoff, the Rolling Stones, Bad Company and The Eagles to name but a few. As well as gaining numerous awards for his song-writing, Jim has also had his own hit records including 'Love Hurts' which went top-five in the charts and has released many best-selling albums over the years. Jim's 1983 hit record 'That's Love' was recorded with Steve Winwood.